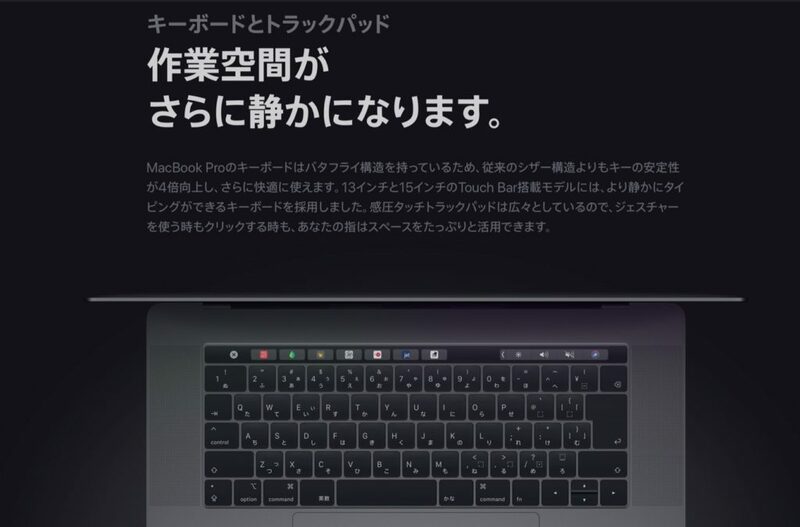 MacBook Pro 2018の第3世代バタフライ構造のキーボードはキーキャップの下にラバーレイヤーを設置し、静音性を向上させている。 | AAPL Ch. Keyboards include mechanisms that prevent and/or alleviate contaminant ingress. In some embodiments, a keyboard assembly includes a substrate, a key cap, a movement mechanism moveably coupling the key cap to the substrate, and a guard structure coupled to the key cap operable to direct contaminants away from the movement mechanism. 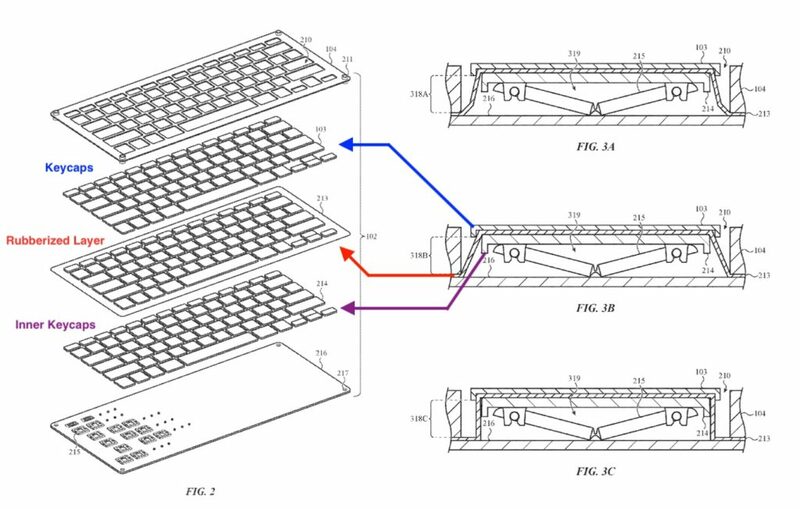 This new third-generation keyboard wasn’t designed to solve those issues, Apple says. 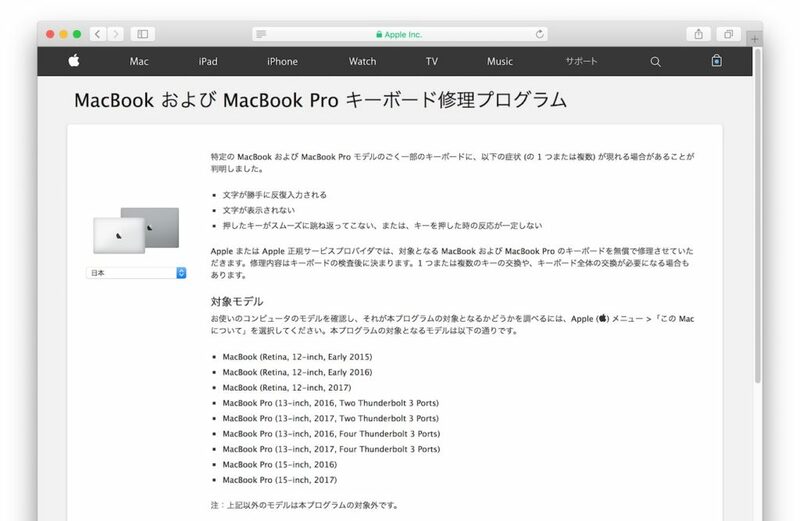 Sadly, while the new 2018 MacBook Pro does have an updated third-generation keyboard, Apple tells CNET it doesn’t include any new engineering or tweaks to address the sticky key issue. The big question on many people’s minds is the keyboards: Do they resolve the reliability issues that have surfaced ever since Apple switched to butterfly mechanisms? Apple says no, that the only thing they were engineered for is being quieter.